Learning never gets old. If it’s learning about something new or developing a new skill, there are few better ways to remain engaged with life. Here are a few resources for you to consider. There are certainly some in your local area, no matter where you live. Please send us a link to your favorite resource. 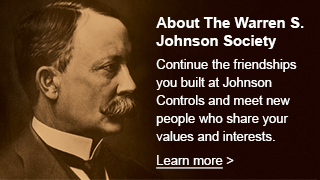 You can pass it along by email to Help@WSJSociety.com with a brief comment on why you have found it of value. Thanks for your help. Kahn Academy set up for schools, but you may find something of interest here also. Manfred Olson Planetarium UW Milwaukee a resource to explore the universe and enjoy the journey! Osher Lifelong Learning Institute National Resource Center a spectrum of resources for lifelong learning across the U.S.
Wisconsin Associations for Lifelong Learning locations throughout Wisconsin offering learning opportunities for seniors. Please submit the site for your state to broaden our resources. UWM Osher Lifelong Learning Osher Institute available in the Greater Milwaukee area..